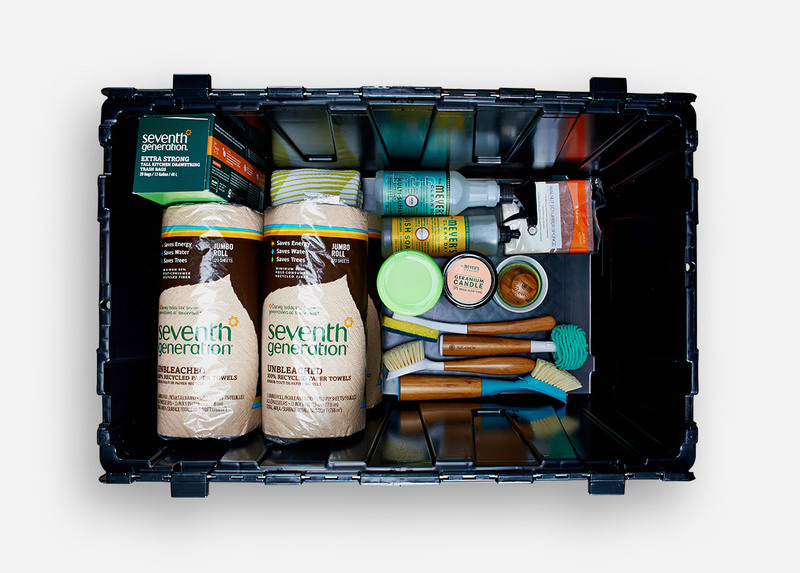 Kitchen Essentials Kit | HiveBoxx | Moving boxes, serving sunny Seattle. Essential Kits contain eco-friendly home products from brands like Mrs. Meyers, Seventh Generation and Full Circle Home. All kits include keepsake HiveBoxx container. HiveBoxx Essential Kits contain eco-friendly home products from brands like Mrs. Meyers, Seventh Generation and Full Circle Home. Kits are available for your bathroom, kitchen or whole home. All kits include keepsake HiveBoxx container.